Attempting to break open the wireless buds will automatically destroy the electronics within no matter how careful one may be. 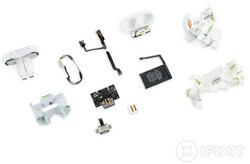 iFixit is an excellent source for repair guides on popular consumer electronics from smartphones to gaming consoles. 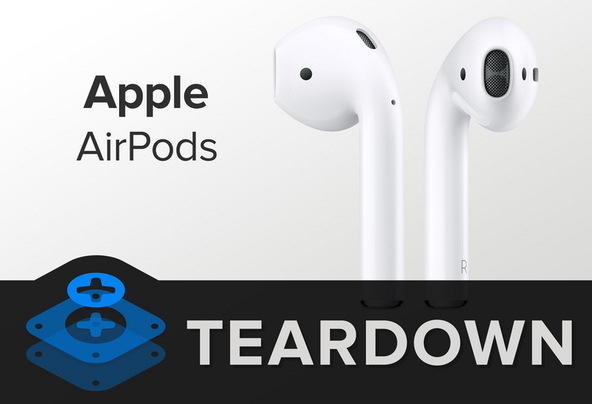 The latest teardown on the highly anticipated Apple AirPods, however, reveal some harrowing choice words for the wireless earbuds: Disposable, inexpensive, and irreparable. The AirPods have received a final repairability score of zero out of ten from iFixit. Accordingly, attempting to disassemble and access individual components of the earbuds will simultaneously destroy the product. As a result, it is essentially impossible to repair the product partly due to it reliance on glues and adhesives instead of screws. 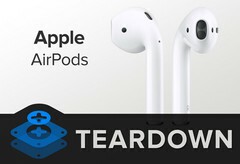 The source further concludes that the AirPods will become costly disposables in the event of hardware failure or manufacturing defects. Note that the AirPods retail for $69 USD or $49 USD if purchased without a battery pack. As for wearing the actual earbuds themselves, early reviews say there is little to complain in terms of comfort. YouTube videos are claiming that they remain in place even after daily workout routines or a session of jogging. Other major manufacturers will be introducing wireless earbuds as well including Sony now that smartphones have been slowly dropping the universal 3.5 mm audio jack. Apple AirPods are finally here. Eager to see what’s inside, we ripped them open like expectant children on Christmas morning. And like children, we cried a little when we opened the box: the inside is a series of little boards, interconnected by origami-folded ribbon cables, soldered together into one hot mess. And the charging case isn’t any better. All in all, accessing any component—including the batteries in the case and in the ‘Pods—is impossible without total destruction. We talk about repair a lot, and there’s a reason for that—it's good for consumers and good for the environment, just like recycling. Usually, being repairable goes hand in hand with being more recyclable. The easier it is to untangle the parts, the easier the device is to recycle. When products are glued shut and soldered together, like the AirPods, it costs recyclers more than they can earn from recovered materials. If AirPods are Apple’s new standard earbud, they'll sell hundreds of millions of them. That’s millions of AirPods that are, essentially, disposable. 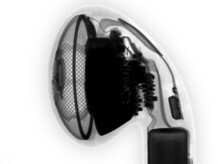 A set of AirPods contains three batteries, one in the case and one in each earpiece. The earpiece battery is a 93 milliwatt hour battery, which is about 1% of the charge capacity in an iPhone 7. 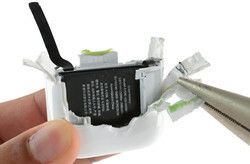 The battery in the case weighs in at 1.52 Wh—about 16 times the power capacity of the earpiece batteries. 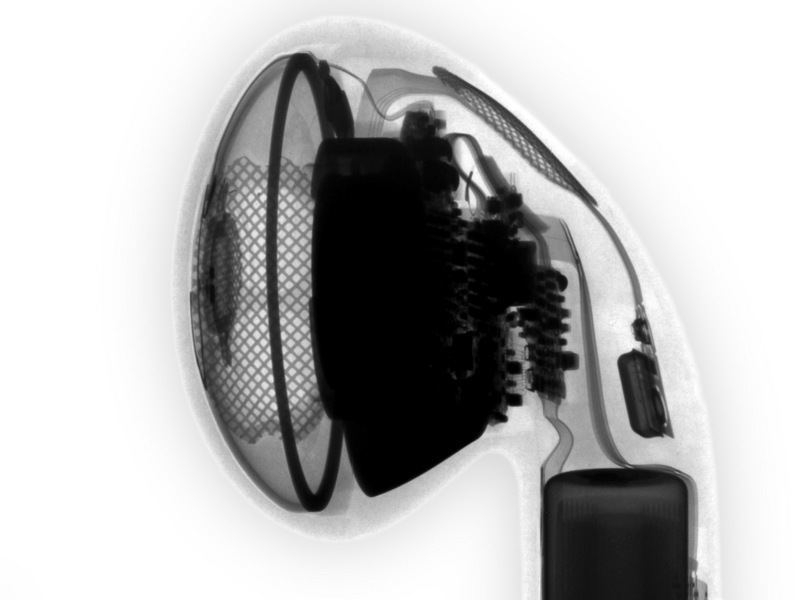 Our X-ray imagery (provided by Creative Electron) shows quality issues in the AirPod case’s processor. Excessive empty spaces in the solder, known as voiding, could be evidence of low quality standards, or a rushed product release. Could issues with the AirPod case be what delayed release? Accessing any case component is impossible without destroying the outer casing, earning the AirPods a nigh-unprecedented 0/10 on our repairability scale.